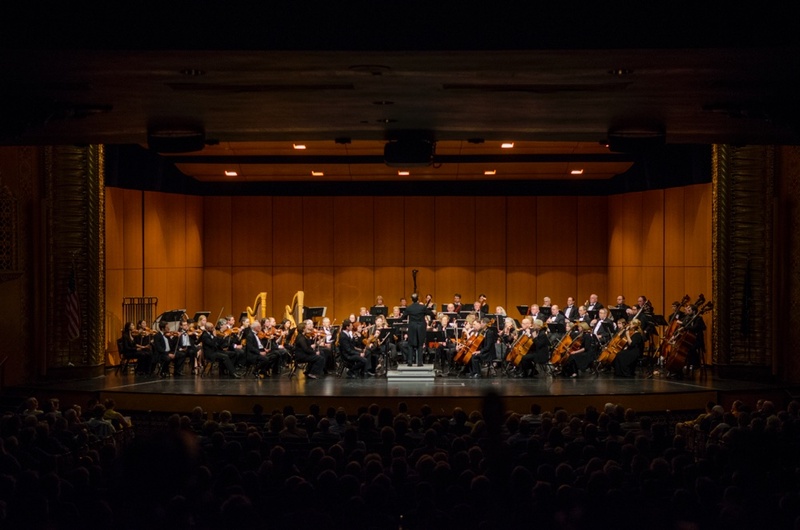 The mission of the Williamsport Symphony Orchestra is to be a cultural asset to the community by providing quality music, education and performance opportunities for regional talent to an ever-expanding audience. Our programs include five regular season concerts, WSO Billtown Brass concerts, Williamsport Symphony Youth Orchestra concerts, Pops In The Park outdoor concerts, family concerts, our annual Young Artist Competition and Williamsport Symphony Junior Strings. The first Williamsport Symphony Orchestra began with fifty-nine musicians and debuted in 1915 under the baton of E. Hart Bugbee, a music teacher and a violinist with a studio in Market Square (the former Ulman Opera House). In 1933, it became the Rural Works Development Orchestra, and in 1940 re-emerged as the Williamsport Civic Orchestra. World War II put a hold on the orchestra, as many went off to support the war effort. By popular demand, the symphony was revived in 1947 under the direction of local music legend Osborne Housel. Season sponsorships and a Symphony Society (the forerunner of the current Friends of the Symphony) were introduced; among the Society’s functions was its scholarship program. In 1948 and 1949, the orchestra gave capacity performances at the Capitol Theatre (now the Community Arts Center) of its Holiday concert, performing Handel’s Messiah with 250 vocalists. In the summer of 1951, the Orchestra presented the first free Pops in the Park concert at the Brandon Park bandshell. Housel passed away in May 1957, and the orchestra ceased operations. You’ll find a wonderful photograph of that orchestra just below. The current Williamsport Symphony Orchestra was started “from scratch” in 1966 with Lewisburg violinist Dorothy Baumwoll and semi-profiessional oboist Dr. William Barrison. They solicited musicians from four counties to launch the Susquehanna Valley Symphony Orchestra. Functioning under a volunteer management, the SVSO braved numerous crises to keep alive. Music industry professionals and corporate sponsors began to take an interest in the SVSO. In 1984, the SVSO hired Rolf Smedvig as music director. Once the principal trumpet of the Boston Symphony Orchestra, Smedvig founded the Grammy-winning Empire Brass Quintet. In 1984, the SVSO’s name was changed to “Williamsport Symphony Orchestra”. Smedvig then passed the baton to Robin Fountain in 1992. Under Fountain’s leadership, the WSO expanded its reach to become a full-fledged semi-professional orchestra. The uniquely-talented Fountain rose to the task of making the WSO a stand-out orchestra in a small city. He moved on in 2007, however, and after a year-long national search Tomasz Golka became Music Director in 2008. In 2010, our 44th season, we welcomed Maestro Gerardo Edelstein to our stage as WSO’s Conductor & Music Director. Since 2001, the WSO has given its first television broadcast, finished a successful endowment campaign, resumed its summer concert series “Pops in the Park,” created “The Billtown Brass” and moved its headquarters to the magnificent, 2100-seat Community Arts Center… as well as receiving nationwide recognition from the National Endowment for the Arts and the League of American Orchestras. The WSO’s musician roster has increased and concert attendance records have been broken. The Williamsport Symphony Orchestra continues to enrich and support the economic and cultural growth of our region. 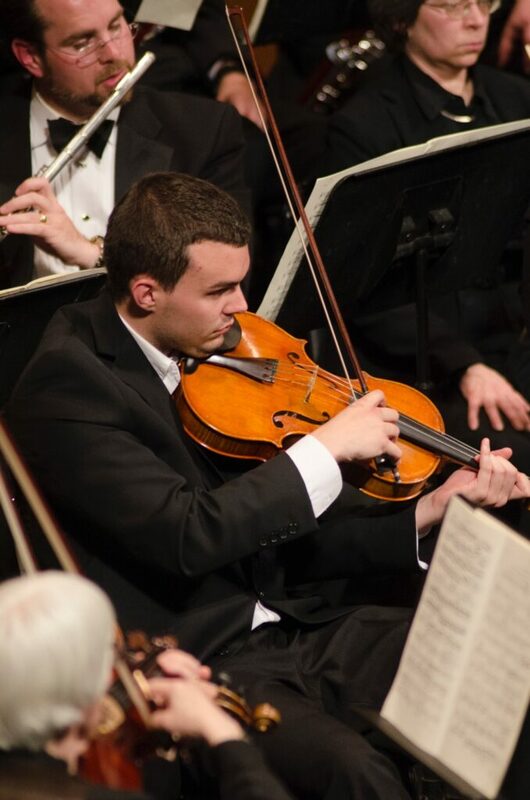 Also, the Williamsport Symphony Youth Orchestra, provides an educational and performance medium for aspiring musicians from middle school to college age. WSYO is under the leadership of Dr. William Ciabattari, Assistant Professor of Music and Director of Bands at Lycoming College. The Williamsport Symphony Junior Strings, under the direction of Danielle Fassnacht, offers yet another educational & performance medium for young students.